Thriller Thursday ~~ Murder in the Family! ← Wordless Wednesday ~ A Boy and His Dog! The article is so tiny it’s hard to read. 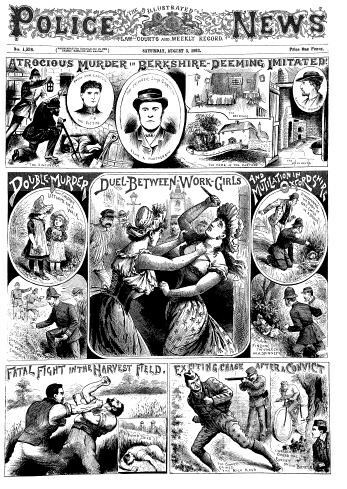 Clicking it only brings up a larger picture of the Police Gazette. Thanks! I’ve gone back and enlarged both images!